Dave is an actor, director and theatre educator, living in Edmonton, Canada. Some directing credits include the award winning Burning Bluebeard (Edmonton Actors Theatre), Fatboy (awarded 3 Sterling Awards and recently re-mounted at Theatre Network), The Bomb-itty of Errors, Sartre’s Shorts (Surreal SoReal), Measures! The Musical, The Inspector General and Cloud Nine (Citadel Theatre Young Company), and Eurydice (U of A Studio Theatre). Dave has worked as an actor throughout Canada and the United States at such theatre companies as The Freewill Players (King Lear), Workshop West Theatre (Kill Me Now), Theatre Yes (National Elevator Project), Vertigo Theatre (Ends of the Earth), The Citadel Theatre (Death of a Salesman), and The Mayfield (Don’t Dress for Dinner).Most recently he has performed in theatre no. 6’s Proud, Passion Play and 10 out of 12 for Wild Side Productions and Blarney Production’s MOTE. He has worked with director Anne Bogart and New York based SITI Company and completed the SITI Intensive in Saratoga, New York twice. He also worked with New York-based The Actor’s Centre and completed the Teacher’s Development Program working with master teachers Ron Van Lieu (Former Chair of the Acting Program, Yale School of Drama), Slava Dolgachev (AD, New Theatre of Moscow), J. Michael Miller (Founder, NYU Drama), Fay Simpson (Lucid Body, Yale), and Jane Nichols (Improvisation, Yale). 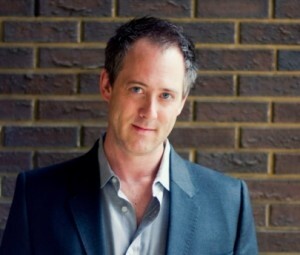 Dave holds BFA (Acting) and MFA (Directing) degrees from the University of Alberta. He has also trained at Mount Royal College in Calgary and worked with Anne Bogart’s SITI Company training in Viewpoints and Suzuki technique as well as attending the Teacher Development Program at New York’s The Actor’s Centre. He has at the Artstrek summer theatre school in Red Deer, taught master classes for Theatre Alberta’s Dramaworks and The Citadel and at the undergraduate level at the University of Alberta. Dave is a proud member of Canadian Actors Equity, ACTRA, and the Association of Theatre Movement Educators (ATME).